The people who care about the community are the ones who make things happen in this game. The rest disappear, leaving no legacy behind. 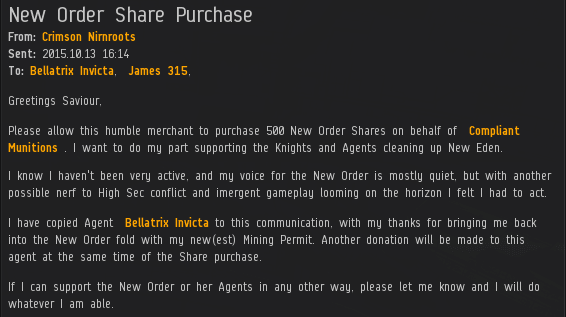 Show your support for EVE Online by buying New Order shares! Good deeds have a ripple effect. Zopiclone built on the success of permit-selling by buying an additional 550 shares. She earned a Supreme Protector's Tip of the Hat™, and rightly so. That's how it's done! 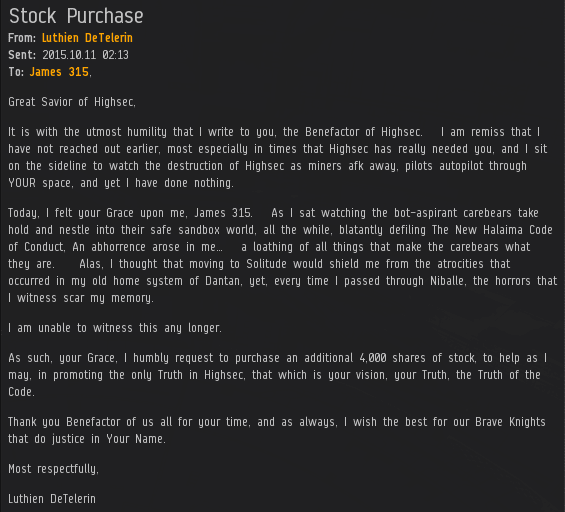 Luthien DeTelerin snatched up 4,000 shares, earning her a Quadruple Supreme Protector's Tip of the Hat™ in the process. Luthien is up to 9,000 shares in total. Keep an eye on Luthien--she's become a player. 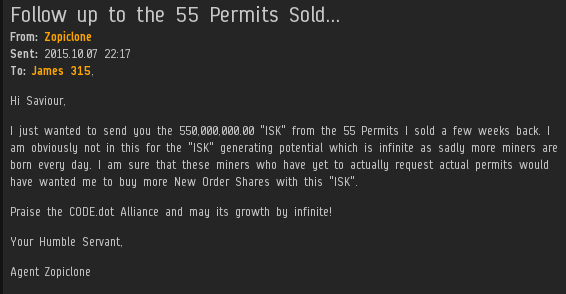 Thank you, noble shareholders, for enabling our play style.